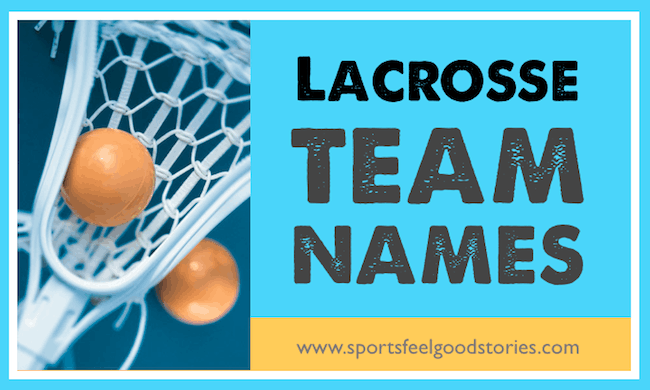 We’ve lined up some lacrosse team names for your consideration. Lacrosse, one of the fastest growing sports in America, has it roots in the Native American Iroquois tribe of the Northeastern United States. The fast paced action and skillful play make it a great spectator sport. And, it’s even more fun to play. Especially on a great team…and that’s where a great team name comes into play. Check out these LAX team names. In historic Native American lacrosse games, how many players played and how big was the field? Ok, this is a trick question. It’s estimated that 100 to 1,000 players per team would play in a game. The playing field would extend up to two miles long. • Lacrosse may have originated back in 1100 AD. • Harvard beat Princeton in the first college lacrosse game. • The game of lacrosse was originally played to toughen young men up for war. • Many believe that Cleveland Browns running back Jim Brown was the best lacrosse player ever. He played at Syracuse in college.